​Hertha Berlin host Bayern Munich in a third round DFB-Pokal fixture on Wednesday and Niko Kovac's men will be looking to respond to the 3-1 defeat they recently suffered at the hands of Bayer Leverkusen. Bayern were in a good run of form and looked to have got their season back on track but the defeat to Leverkusen will have damaged their confidence and hindered their momentum. They will be looking to respond to that defeat with a morale boosting win in Wednesday's fixture. Die Alte Dame have already beaten Bayern this season and will be hoping their opponents' negative result against Leverkusen will benefit them on their home ground. Bayern's Manuel Neuer is a doubt for the match due to a recurring hand injury, so second choice goalkeeper Sven Ulreich should start in his place. Midfielder Thiago is still a doubt to make the game due to a muscular injury, while Kovac will definitely be without Corentin Tolisso, Franck Ribery and Arjen Robben. Pal Dardai will only be without defenders Derrick Luckassen and Julius Kade, with both players suffering with ankle injuries. Other than that, Hertha have a fully fit squad. Hertha Jarstein; Stark, Lustenberger, Rekik; Lazaro, Grujic, Maier, Plattenhardt; Duda, Selke, Ibisevic. Bayern Ulreich; Kimmich, Sule, Boateng, Alaba; Sanches, Martinez, Muller, Goretzka; James, Lewandowski. These two outfits have faced each other on 24 separate occasions with an average of 3.1 goals per match. It comes as no surprise that Bayern have the advantage in terms of wins with a massive 16 compared with Hertha's two. Six of those games have ended in stalemate with their most recent encounter ending in a 2-0 win for Hertha Berlin. Hertha Berlin are not in amazing form, with one win in the last five matches which came against Nurnberg. They picked up two draws and two defeats in their other four games, but Hertha wil be confident of a win due to their victory over Bayern earlier this season. 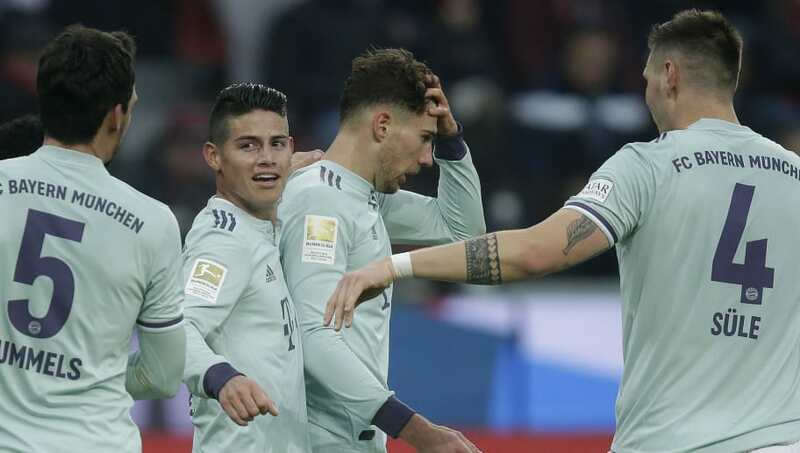 Bayern were in a good run of form until the weekend's defeat at the hands of Leverkusen, winning their previous four matches and conceding only twice during that four game period, scoring 11. The defeat at the weekend will have hindered that momentum somewhat but Kovac will be hoping for a fighting response on Wednesday. Hertha Berlin will be confident of getting a win due to their spectacular home record, losing only twice at the Olympiastadion all season. However, Bayern will be expected to come out firing after their loss to Bayer Leverkusen. Bayern fans will hope a good cup run can get them some silverware this season with the league title looking less likely, and Wednesday should see them emerge victorious.